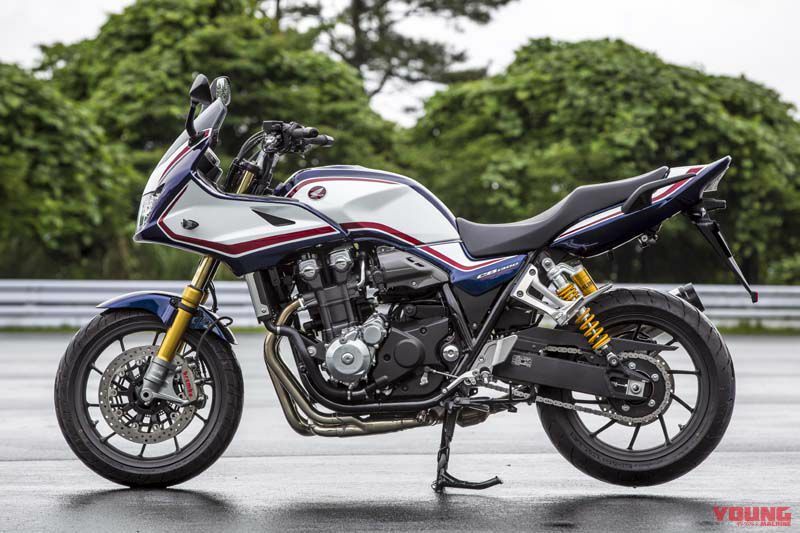 The 2018 CB1300 Super Four and CB1300 Super Bol d’Or SP models planned for sale have been made public for the first time at the 13th CB owners meet-up held at Fuji Speedway, on July 8th 2018. 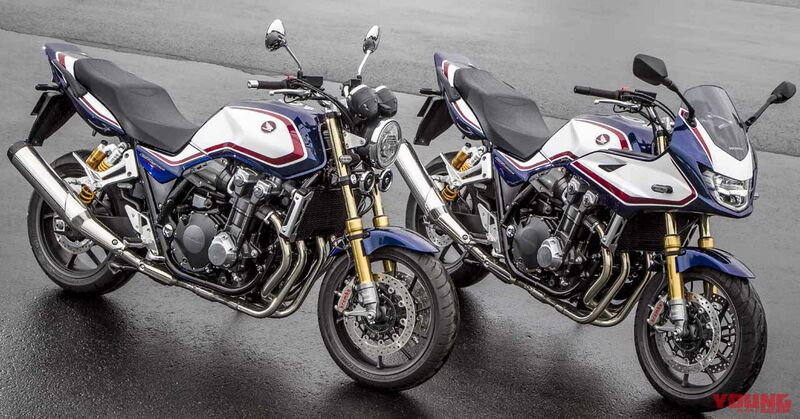 They are both very attractive with the blue, white and red colour schemes that evoke the CB750FC from the past, along with special parts fitted to the lower areas. 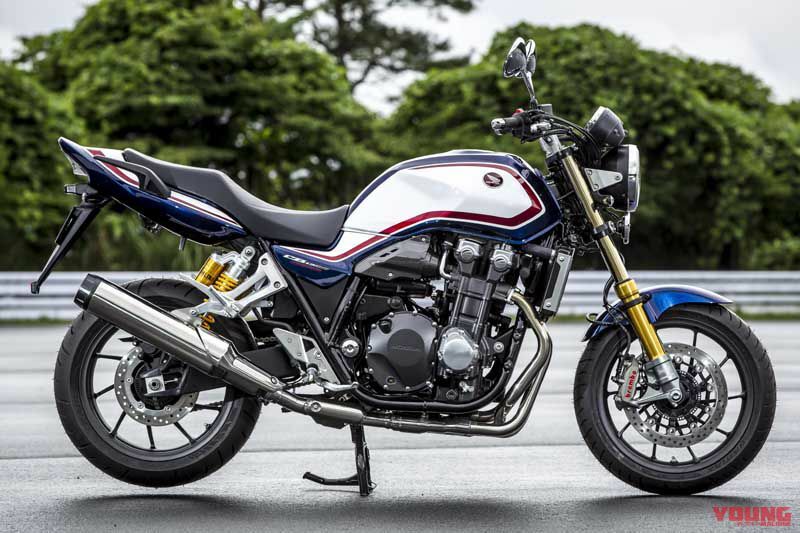 The CB1300SF/SB SP version that we reported about here as a scoop has finally made its first public appearance. This model holds 25 years of CB1000 Super Four history, and much work has been put into the suspension and brakes. There is a combination of Ohlins upright-forks at the front, and radial mount Brembo monoblock brakes. Of course it also has Ohlins made suspension at the rear, which offers exclusive settings to match the CB1300. Besides this, such features as the sport heated grips are the same spec as the standard base model, but it’s the updated ETC 2.0 device that has become a topic for discussion. (2019 Honda CBR1300 Super Four SP. Japan sales spec plan. Estimated price $16,800. Estimated time of arrival: October) The SP version has benefited from exclusive use of Ohlins made front forks and radial mount callipers. The swingarm and wheels have been given a black paint finish, and the gold areas really do look the business. (2019 Honda CBR1300 Super Bol d’Or SP. Japan sales spec plan. Estimated price $17,700. 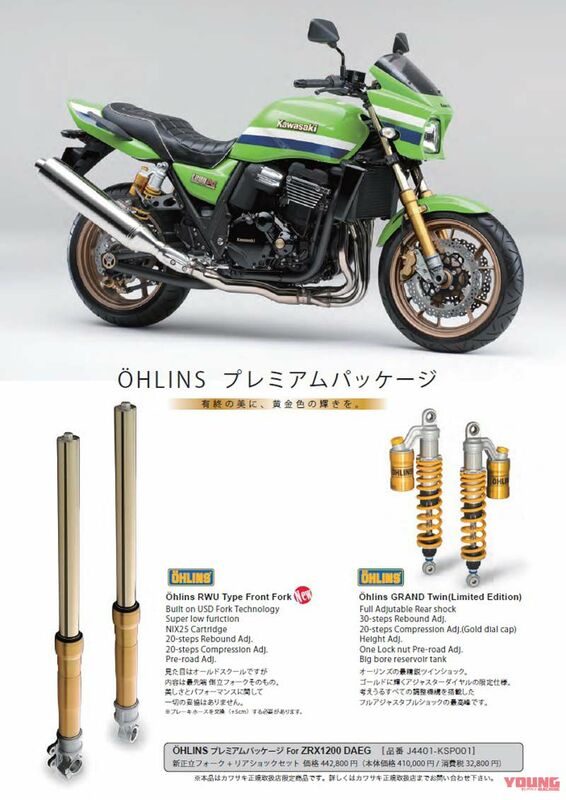 Estimated time of arrival: October) The equipment in the lower areas is the same as the SF version, but the Ohlins HP161 rear shock is a one-off that is not listed in the regular catalogue. Also, the chainguard gets a black paint job instead of the standard aluminium part. (Honda CB750F. 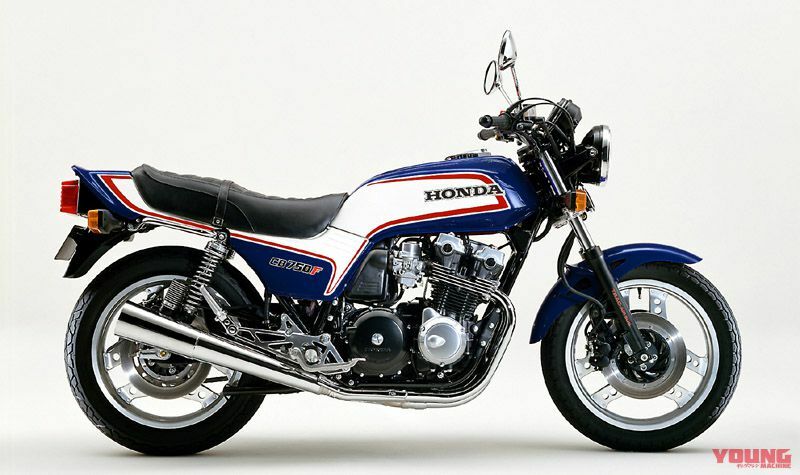 Released June 10th 1982) It is thought that the new CB1300SF/SB SP versions are based on the motif of the final 750F model, the FC version with a blue colour scheme. Other than these colours being used once on the 2002 CB1300 model (dealer specification SP) that celebrated the 10th anniversary of the bike, it was also used on the CB750 models from 2005 up until the final 2008 model. The ZXR1200 DAEG model that went on sale in 2016 was equipped with an Ohlins premium package. It had a limited edition (100 sets produced) front and rear suspension set that was applied to the final version. Up to that time the DAEG had only ever had a special rear shock, so it became a real topic for discussion when the front setup option was first announced. The price of that set was $4000, so when you consider that the price (standard price plus approx $4000) for the CB1300SP will also include upgraded brakes, you could say that it seems a good bargain. Here is the catalogue of the final version ZXR1200 DAEG that sold out immediately, along with details regarding the one-off Ohlins premium package that it used. These Ohlins RWU upright-forks have a cutting-edge design, and hold a strong reputation for their performance.